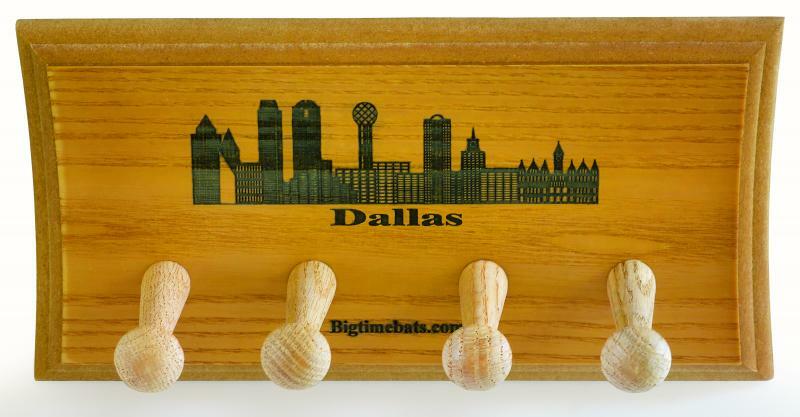 Released in conjunction with two very historic events ... this beautiful Dallas Skyline Two Bat Display Rack is the ideal holder for Texas baseball fans with collectible bats to show off. 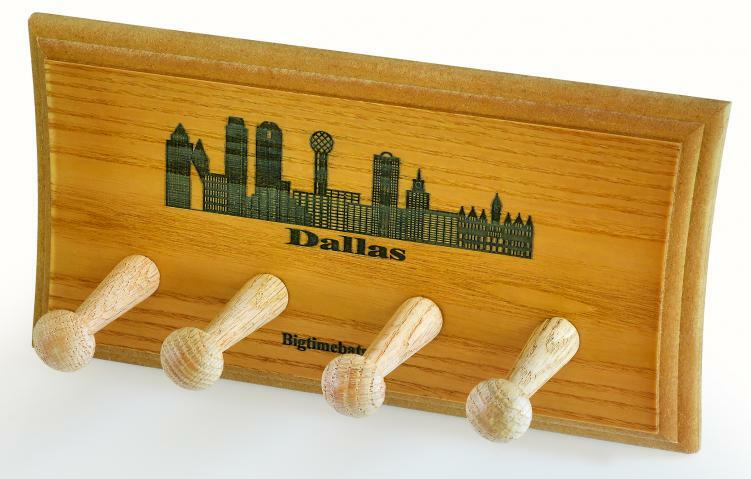 This new 2 Bat Display Rack is laser engraved and comes with the hardware necessary to hang it on your wall for displaying your favorite Commemorative Bats. As "Pudge" Rodriguez prepares to take his place among the games greats in the National Baseball Hall of Fame, and Adrian Beltre closes in on 3,000 hits, Texas Rangers faithful have the opportunity to display fitting tributes to these and other great moments in baseball with a custom Skyline Display Rack. Order yours today.